Thanks to Cooking Light, you can “have your cake and eat it too.” CL is one of my most favorite websites for finding quick and healthy recipes that actually taste good. 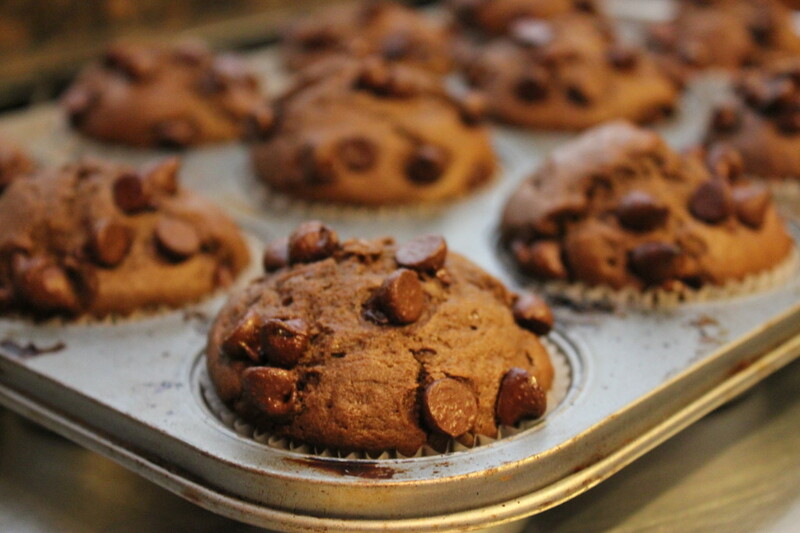 From comfort food to chocolate-chocolate chip muffins, you can still enjoy good food while cutting back on the calories. 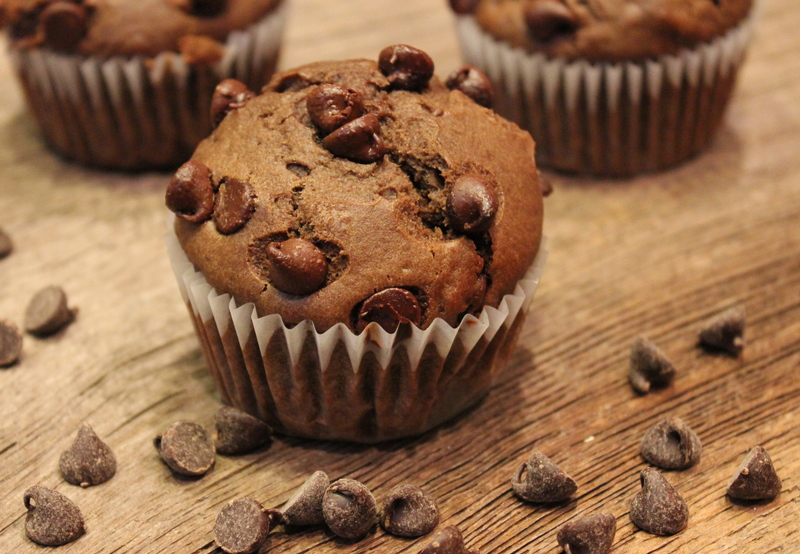 If you’re a lover of all things chocolate, especially when it comes to breakfast, you must give these muffins a whirl. Not only are they super easy to whip up, they actually taste pretty good. The texture reminds me more of a cupcake than a muffin. With that said, they are NOT cupcakes…. they are muffins. 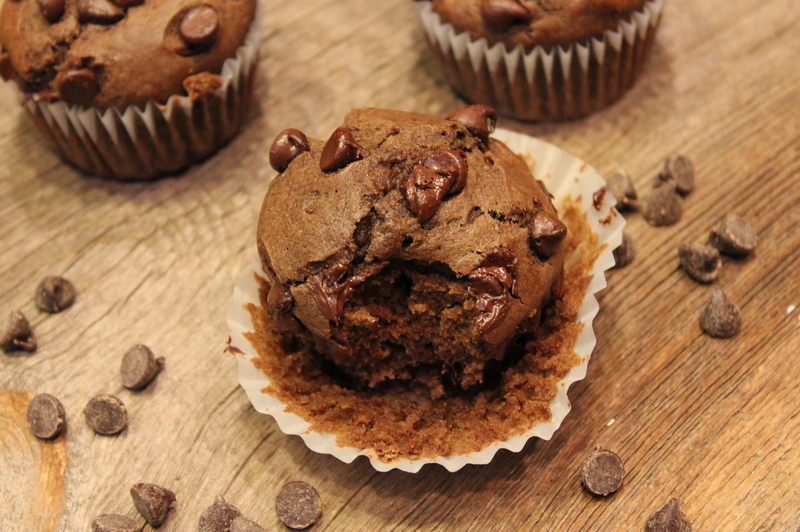 So, what’s the difference between a chocolate cupcake and a chocolate muffin? These muffins literally take 12 minutes to prepare. 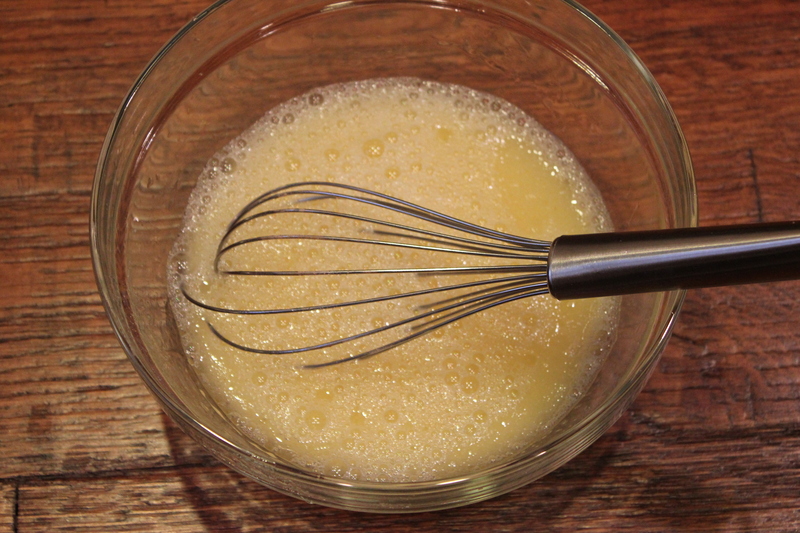 Simply whisk together all the dry ingredients. Then whisk together the wet ingredients in a small bowl. Add the wet ingredients to the dry mixture and combine. 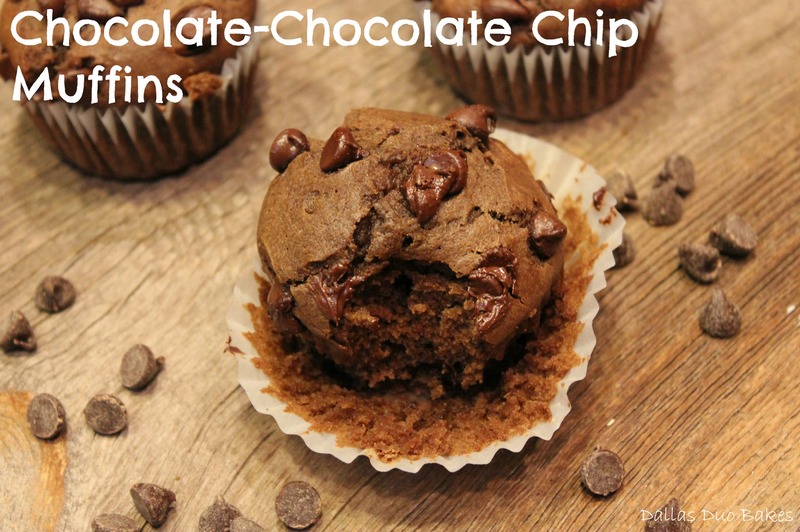 Don’t forget to add in your chocolate chips. 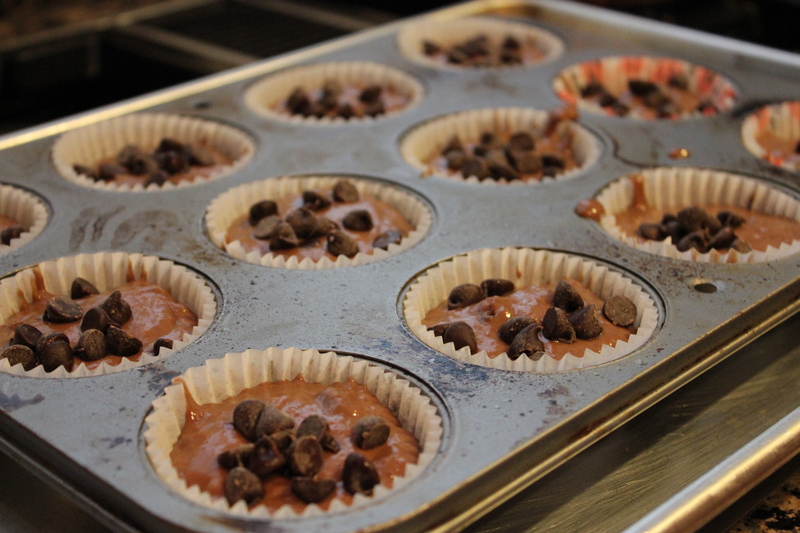 Pour the batter in 12 individual muffin liners and throw them in the oven. 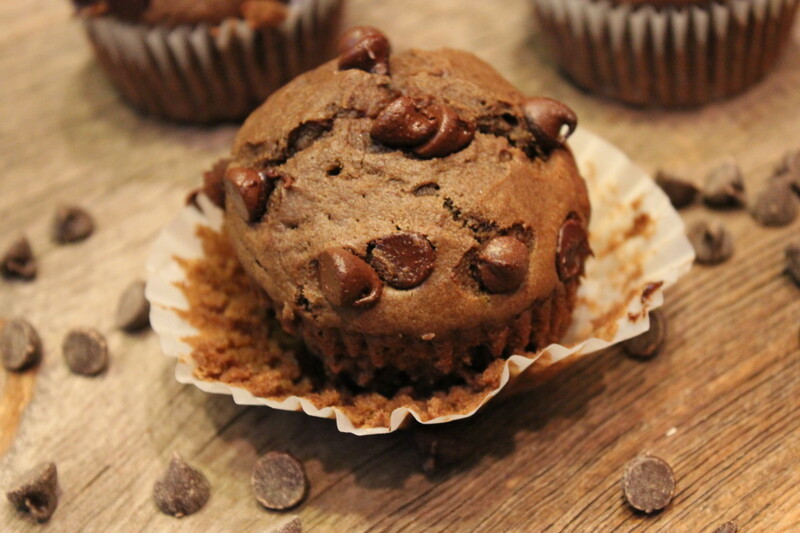 15 minutes later and you can enjoy a nice, pipping hot, extra chocolatey muffin. Forgive me for taking so many pictures. I just can’t get enough of them! Take a big bite and enjoy with a tall glass of milk! Weigh or lightly spoon flour into dry measuring cups; level with a knife. 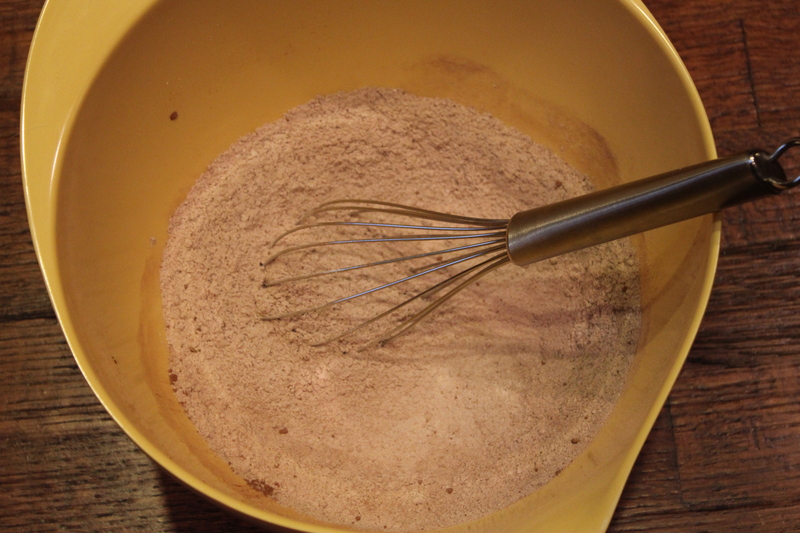 Combine flour and next 5 ingredients (through salt) in a large bowl, stirring with a whisk. Make a well in center of mixture. Combine 1 cup water and next 4 ingredients (through egg) in a bowl, stirring well with a whisk. 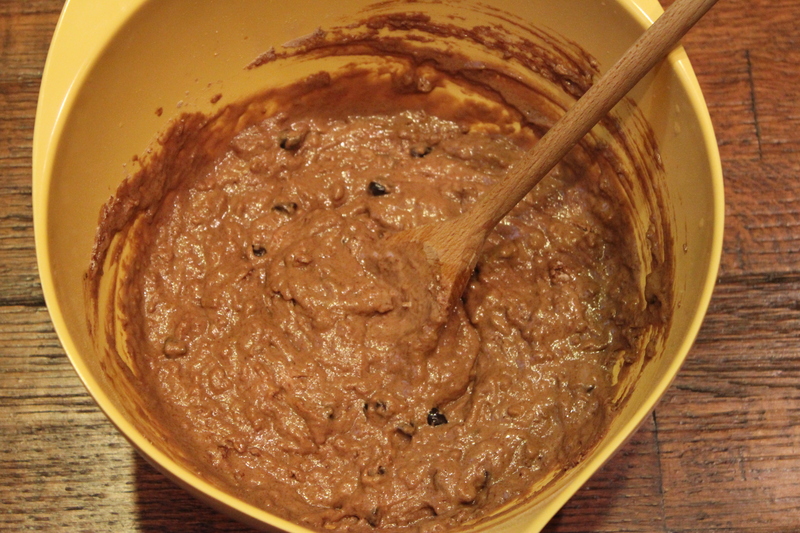 Stir in ¼ cup chocolate chips. Add oil mixture to flour mixture, stirring just until moist. Place 12 muffin-cup liners in muffin cups, and coat liners with cooking spray. 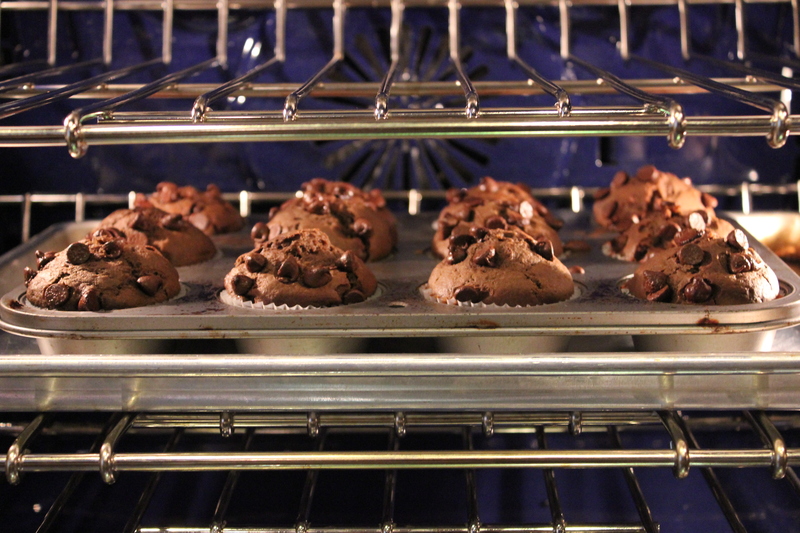 Divide batter evenly among prepared muffin cups. 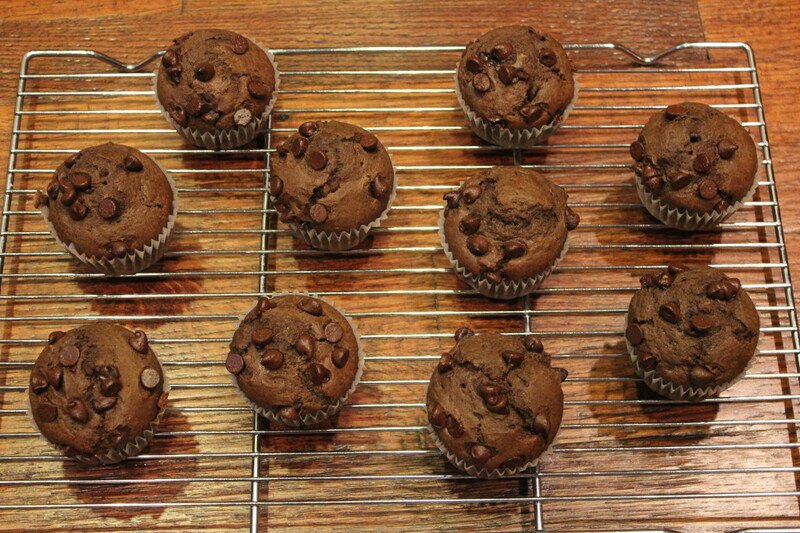 Sprinkle remaining ¼ cup chocolate chips evenly over batter. Bake at 400° for 15 minutes or until a wooden pick inserted in center comes out clean. Cool for 5 minutes in pan on a wire rack. 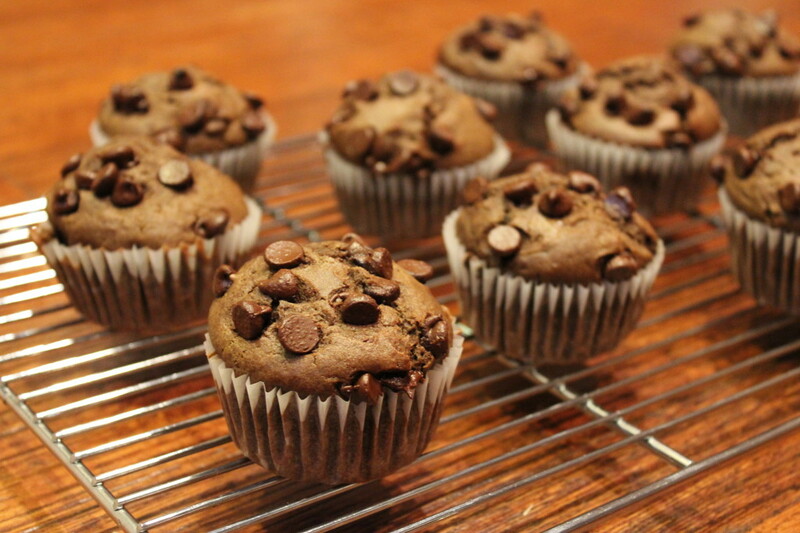 5 Responses to "Chocolate-Chocolate Chip Muffins"
DOUBLE chocolate muffins? Oh my heavens! My dream breakfast. They look wonderful! Thanks for stopping by today and love the breakdown on cupcake vs. muffin – there can be lots of gray areas I find. I love that this is still a muffin but has 2 forms of chocolate! love the way you think!